The Winter 2019 Synod Continuing Education Event will focus on the opioid epidemic. Our presenter will be Sky Kershner, executive director of the Kanawha Pastoral Counseling Center. Please note that you do not need to be rostered in the WV-WMD Synod to attend. This event will be more than a little different from past events. Kershner will be providing seven contact hours of education, meaning we will be cutting our bishop's time and making other adjustments. Our venue will be the Blackwater Falls State Park in beautiful, remote, and high-altitude Davis, WV, Pr. Ruth Bullwinkle's stomping grounds. Synod will not be handling rooming reservations. Only one meal, the Monday evening banquet, will be included in the synod registration. Read each of the sections that follow for details. Lodging is not being coordinated by the synod and is not included in the synod registration for the event. Participants requiring lodging need to make their lodging arrangements with Blackwater. A base group rate of $87.20 per room (before taxes) has been secured from Blackwater. A block of 30 rooms is being held until 1 January 2019. Make your reservations sooner rather than later. Blackwater's cancellation policies will apply. 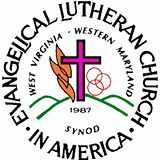 To make your reservation, call 304-259-5216, and indicate that you are with the "Lutheran Synod" group. To learn more about lodge accommodations (especially if you are thinking of sharing a room to split costs with a colleague), check out the Blackwater website. Cabins also available; you won't get the special rate, but for our tracking purposes, do indicate that you are with the "Lutheran Synod" if reserving one. Cabins come in different sizes and at different rates. This may be attractive to those wanting to combine resources, come with a family, or have a little more privacy. Again, check out Blackwater's website for details. There are two other motels in Davis and several housing options in nearby Canaan Valley. Since the synod is not coordinating housing, you are free to explore other options. The Monday evening dinner is the only meal included in the cost of event registration; you are on your own for both lunches and breakfasts. Given that some arrive late and others leave early (not to mention those who are simply not breakfast people), providing freedom in this area is something the Continuing Education Committee wants to test. There is an onsite restaurant in the lodge, The Smokehouse at Blackwater Falls. Lunch and breakfast menus can be found by clicking on the appropriate link, or on the Blackwater Falls website. There are other dining establishments (ranging in price and fare) in Davis and in nearby Thomas and Canaan Valley. The Monday evening meal will be a buffet by The Smokehouse in a private dining room. In your synod registration, indicate whether you have food allergies and/or would like a vegetarian option. Synod registration also covers the coffee for our afternoon and evening sessions. Because we must pay our presenter, provide a meeting room, and cover the included board, there is a synod registration fee of $95.00. The deadline to register is Thursday, 10 January 2019. Sky Kershner, executive director of the Kanawha Pastoral Counseling Center, will be providing seven contact hours of education and training related to the opioid epidemic. Click on his name to learn more about him. Blackwater Falls State Park is best known for the 57-foot cascade of Blackwater Falls, the foot of which is the beginning of the Blackwater Canyon. This location has been a popular tourist attraction reaching back to the 1800’s. For the winter visitor, the canyon and falls are still magnificent. There are also Nordic recreation options in the park, such as snow showing and sledding (with a powered conveyor so that you don't have to drag your sled up the hill). If the cold is not to your liking, you can curl up in front of the lodge fireplace and enjoy a book. Indoor swimming pool, workout room, and a small arcade are also to be found at the lodge. Nearby, the alpine skier can enjoy the slopes at Canaan Valley, and interesting dining can be had there, in Davis, and in Thomas. Think about adding a day or two to either side of continuing education as an opportunity to relax and refresh or bring the family for a mini-vacation. Sadly, The Billy Bar is closed on Monday.